The hunt for Sir Roger Scruton began once the news broke that he is indeed a conservative. Now the Left are coming for his conscience. Our own Dr Campbell Campbell-Jack explained the importance of the Conservative Party standing up to the censorious Left here. There have been defences by Toby Young and Helen Dale. Remember this latest purge of anyone who has ever had views that are not in line with the Leftist orthodoxy is over an unpaid position as chair of a government housing commission. Also, it is worth remembering as per Iain Martin that in the 1980s Roger Scruton was bravely campaigning behind the Iron Curtain aiding opponents of tyranny while Jeremy Corbyn was hoping for the defeat of the West in the Cold War. This, however, is not about the tyrannical, censorious Left that is running Sir Roger Scruton out of town (and now not even Jenni Murray can survive the mob, and has been run out of Oxford University). No, this is about the Conservative Party and what, if anything, they stand for. Will they stand for decency, integrity and the freedom of conscience? Or will they side with the Leftists in the now hard-Left Labour policy that would destroy Britain in a blink of an eye given half a chance? Will the Conservative Party for once man up and stand firm with Sir Roger Scruton in the face of this mob on the permanent hunt for witches? Let us not forget Professor Scruton was knighted for his services to philosophy, teaching and public education, most of which explains conservatism. 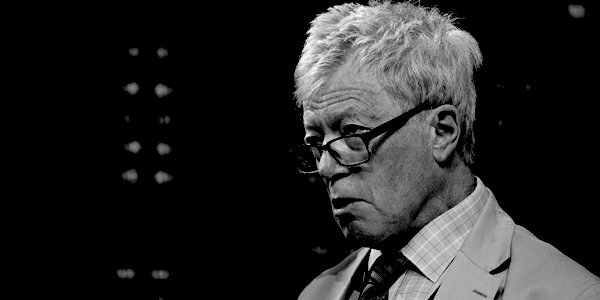 Scruton is essentially the father of modern conservative philosophy and if the Conservative Party do not defend him, they are bunch of disgusting cowards who would sell their own mothers for a vote. Sir Roger Scruton stands for every single conservative voter and person who believes in the right to express views that have not been approved by the extreme Left without being run out of town decades later. That is how important this is for the Conservative Party. They must stand up to this tyranny.